Luxury Chinese wine gift bag made of high quality devore fabric. Perfect for giving your gift an extra special touch! 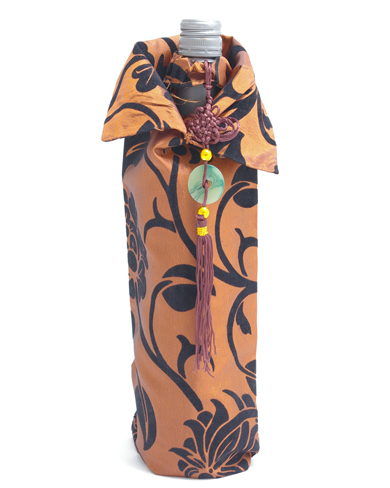 This bottle bag can be used again and again and can even be used to decorate your bottles on the table!